Smiths Official DNA Project is the official FamilyTreeDNA project and Smith/Schmidt one name study for ALL Smith Schmidt Smyth Smythe Smidt and other variations, regardless of geographical location, so that all Smiths may compare markers. JOIN The SMITH OFFICIAL DNA PROJECT - Click here to join Smith Official DNA Project if you want to be able to compare your Smiths markers with EVERY Smith everywhere regardless of location. This is the Smith Official DNA (ALL Locations) Project. We are the project at FamilyTreeDNA for all Smith, Schmidt et al of ALL locations. Although we are primarily a YDNA surname project, we also welcome all those that have tested mtDNA or Family Finder/Autosomal that have a Smith in their line of descent. 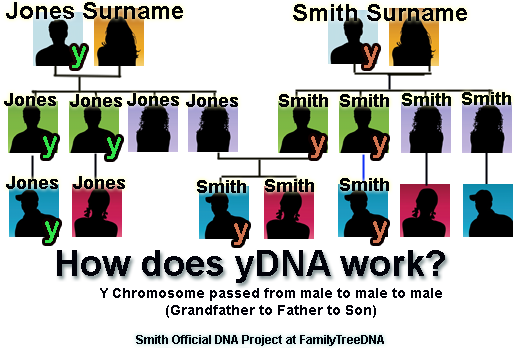 In all cases, we ask for the direct Smith lineage to be posted on the Smith DNA project site at FamilyTreeDNA as well as on Smithsworldwide.org. (Form to send lineage to smithsworldwide.org or you may send a direct line gedcom). We welcome any Smith, Smyth, Smythe, Schmidt, Smiths, Smitt, Smidt or any other variation of the Smith surname. The project covers all of the United States, Canada, United Kingdom, Europe, Africa, Australia, New Zealand, South America, Asia and all points in between.Any test-taking participant must always be a MALE who either (1) descends in an unbroken male-to-male line from a Smith-surnamed male ancestor (including variant surnames) or who (2) has reason to believe he descends from such an ancestor. Females don't carry the type of DNA, yDNA, needed for testing in this. However, females are warmly invited to have a male Smith in their line take the test as their representative. Locations included in the United States are ALL states. AL(Alabama), Alaska (AK), American Samoa, AZ (Arizona), AR (Arkansas), CA (California), CO (Colorado), CT (Connecticut), DE (Delaware), DC (District of Columbia), FL (Florida), GA (Georgia), Guam, HI(Hawaii), ID (Idaho), Illinois (IL) IN (Indiana), IA (Iowa), KS (Kansas), KY (Kentucky), LA (Louisiana), ME (Maine), MD (Maryland), MA (Massachusetts), MI (Michigan), MN (Minnesota), MS (Mississippi), MT (Montana), MO (Missouri), NE (Nebraska), NV (Nevada), NH (New Hampshire), NJ (New Jersey), NM (New Mexico), NY (New York), NC (North Carolina), ND (North Dakota), Northern Marianas Islands, OH (Ohio), OK(Oklahoma), OR (Oregon), PA (Pennsylvania), Puerto Rico, RI (Rhode Island), SC (South Carolina), SD (South Dakota), TN (Tennessee), TX (Texas), UT (Utah), VT (Vermont), Other locations include ALL countries in every part of the world. Join the Smith Official DNA Project at FamilyTreeDNa with a DNA kit. On FTDNA, please upload your gedcom, set your Most Distant Ancestors (which will show up on the FTDNA YDNA report and also the map), and consider naming a beneficiary. Please do not put in a link or references to other websites or info on the Most Distant Ancestor field. That field is shared amongst all projects and we wish to be respectful of all the FTDNA projects that are run by volunteer effort;if you have a website you would like to additionally list on the Smith Official DNA project, you are able to add it to the Personal Information field on your profile at FTDNA or let us know and we'll set it in your profile. For Smithsworldwide.org, the project website for research and one big tree, please send your lineage. 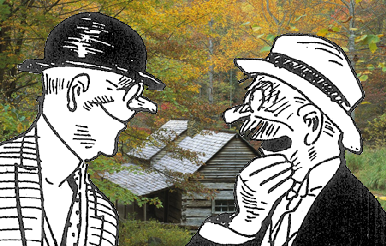 Smithsworldwide.org is one big tree with many branches, in which we strive to eliminate duplicates and have accurate information. We are also on Facebook- Come *Like* Us! HOW MANY MARKERS SHOULD YOU GET? 12 markers give very little information except for haplogroup and are not enough to allow for meaningful matching. Especially for the SMITHS project, you should expect that if you start with 12 markers, you will want to upgrade to at least 37 at some point. We match for groups. Results are stored for 25 years, so additional testing can be ordered at some time in the future.